A delay from the previously planned May release window. 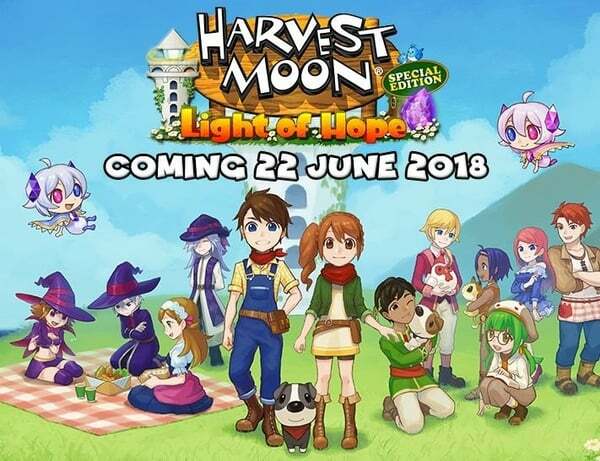 Harvest Moon: Light of Hope Special Edition will launch for PlayStation 4 and Switch on June 22 in Europe, publisher Rising Star Games announced. In North America, publisher Natsume previously announced a May release window. However, Rising Star Games also previously announced a May release window for Europe before announcing the June 22 release date, so it is possible the North American release may have also been delayed.